I’d be lying if I were to say that I’m familiar with baby showers. I mean, I know what a baby shower is: A party usually thrown by a friend or family member for the first child so that the mom-to-be can feel supported by her friends and family and obtain a few of the essentials. There’s food, there’s tittle-tattle, there’s a lot of “Oh my God this is the cutest thing ever!”, there are usually party games organized by the host, and so on. But traditionally baby showers are just women (though more and more are starting to have a mix of men and women) and I’m not ashamed to say that I’ve never been invited to one. 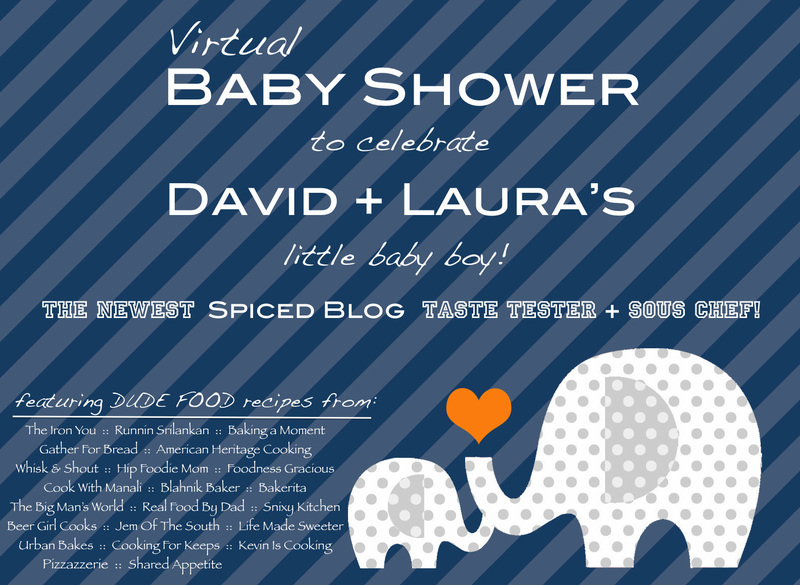 But when a month ago my good friend Chris popped the idea of throwing a very manly virtual surprise baby shower for our good friend David over @SpicedBlog (whose wife is expecting a boy on the 2nd week of November) I was all over it. David and I have become friends through blogging and we are also part of the Mighty Wolfpack. Let me tell you this, when it comes to dude food blogging no one does it like the Wolfpack. We eat, we rant, and we howl at the moon until we’re all howled out. We’re that cool. So a virtual baby shower for one of the Wolfpack members? Hell yeah! There’s no theme for the shower, except that it has to be good food. As for myself, I decided that if I were ever invited to a baby shower, I would bring my almighty-super-duper-awesome meatballs that I have rebranded for this one time only as Wolfpack-Style Meatballs. These are my go-to meatballs these days. Delicious, versatile, and the recipe makes a ton! Super easy. So I am inviting you ALL to our virtual baby shower. Below is a list of all of the bloggers who participated and their posts. Please visit their blogs and enjoy. I hope you are hungry because these bloggers know how to throw a party with fabulous food. Everything looks fantastic! And of course a big virtual hug to my man David and his wife for their upcoming child: I wish them all the best! Wolfpack-Style Meatballs Print this recipe! Preheat oven to 350ºF (175ºC) and place a rack in the middle. Line a baking sheet with parchment paper and set aside. Lay meatballs evenly with a 1-inch gap between each on the prepared baking sheet and bake for 20 minutes. Serve with Marinara sauce, top with grated cheese, and garnish with fresh basil. One serving yields 242 calories, 19 grams of fat, 1 gram of carbs, and 17 grams of protein. 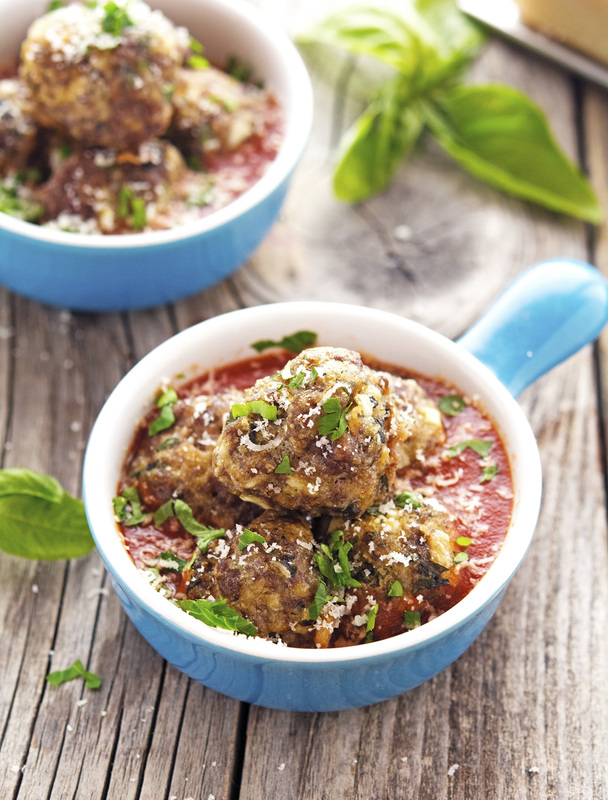 These meatballs have simple ingredients, but I bet they are extremely juicy and tender! Meatballs are the best! Right on AA, meatballs are the best! These look awesome and congrats to David again! Meatballs! I haven't had any in ages. It's about time I change that... I need meat and balls in my mouth, now. Cause I am a classy lady. Aw what a great idea! I much prefer this type of baby shower over the oogeldy ahh ones! Really? I've never been to a real baby shower so I can't really tell! Haha! I had to actually laugh out loud at the accuracy of your description of a baby shower! And, for my own selfish reasons, I hope that you are invited to the next physical baby shower I attend, because I want and NEED these meatballs! Love this post! My hubs doesn't quite get why he would be invited to a baby shower as he has for the last two. But if these meatballs were there he would be one HAPPY camper. Pinned! I'm so like your husband about baby shower, but I have to admit that I've really enjoyed being part of a virtual one! Meatballs? I mean, real meatballs? No beans, zucchini or eggplant inside? I'm totally speechless! Meatballs, just meatballs. Shocking right? 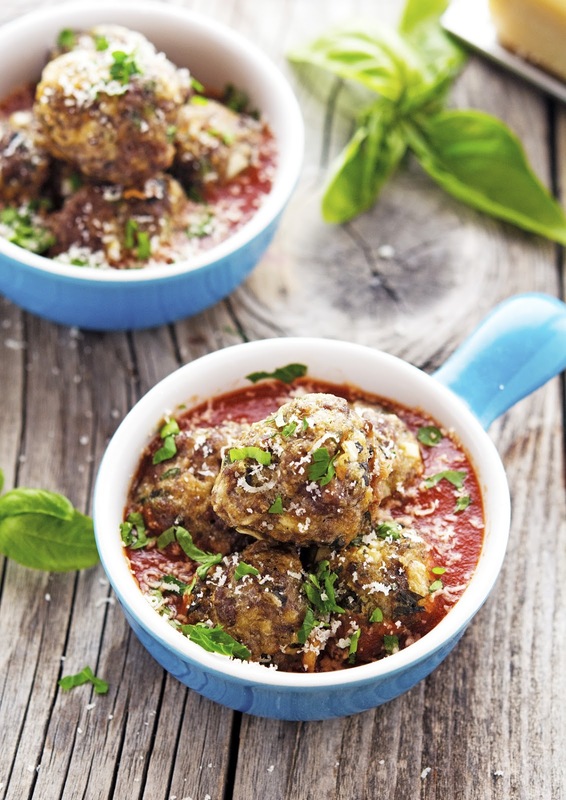 These meatballs look like the perfect thing to bring to any get together, or maybe I'll just keep the first batch all to myself! I made spaghetti squash with meat sauce last night for dinner. If only I had seen this post a day earlier! Spaghetti squash and meatballs is one of my fave things in the whole wide world! no, give me two or three REAL ones, and I'll be happy! 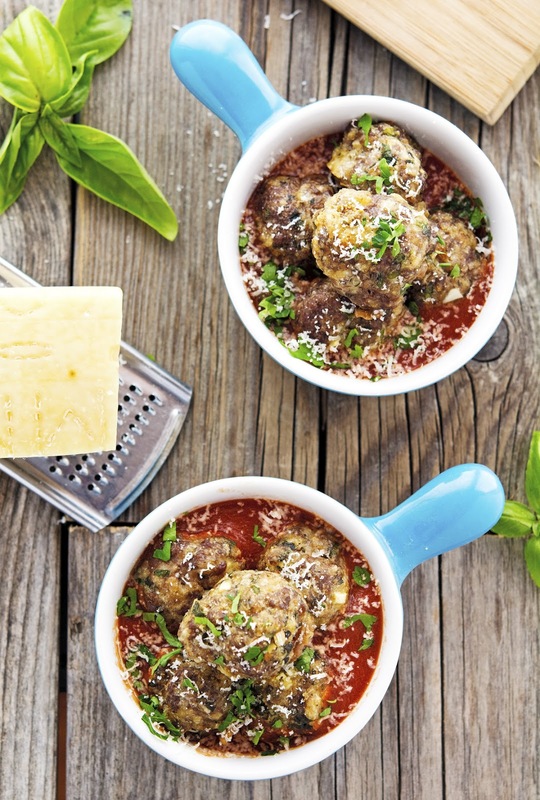 I'm there with you S, when it comes to meatballs: go big or go home. That's my saying! The WolfPack rocks it again and this one is no exception to the awesomeness that we can deliver! David's idea on Baby Shower Crashers is classic, I see a movie in the works already.